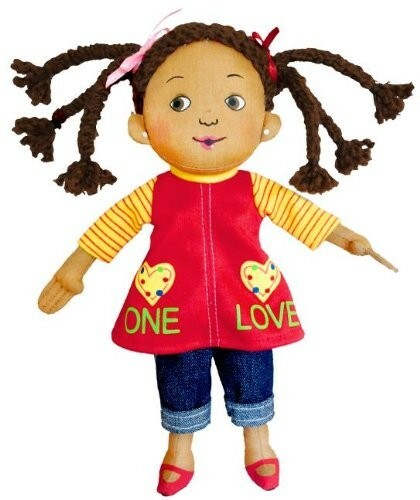 This 9-inch soft doll is the perfect accompaniment to Cedella Marley's book, One Love, adapted from one of Bob Marley's most beloved songs! 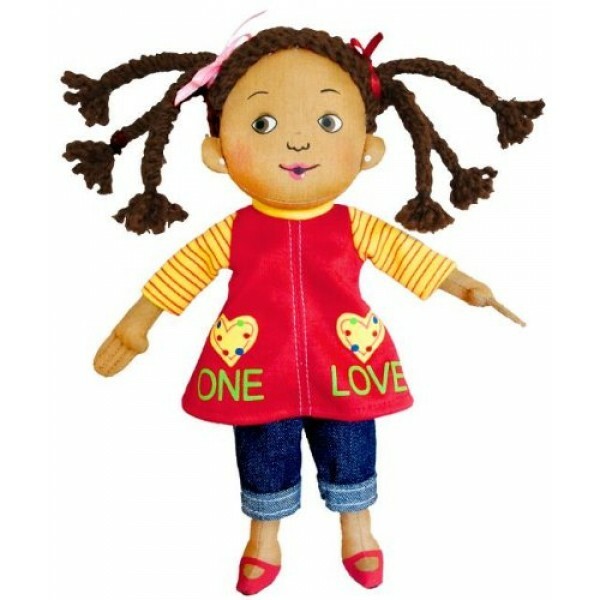 Dressed in cropped jeans and a red and yellow dress with "one love" written on it, she looks just like the girl in the book. She also has three braids coming out of each pigtail, and painted-on pearl earrings. She's ready for singing, dancing, or whatever comes her way.